The statement gets thrown around way too often and way to “irresponsibly”. I believe that having a goal is always a great idea, but it also much be realistic. Nothing is impossible, but it might take much more than you believe. Will I get here? Maybe someday…but maybe not, and thats cool. So when someone comes to me saying they want 6 pack abs, chiseled arms, and no flabby saggy skin…and they want it now, and they currently are training 1-2 times per week, and have no clue what they are eating plus weekends spent hungover, I know we have a lot of work to do…but it can be done! What made you want to start competing? I was an athlete growing up, and have always been a (friendly) competitive personality. A year into college, I was missing that feeling of challenge and personal motivation. My mother competed on and off for about 7 years which is how I was introduced to the bodybuilding industry. I knew how big of a feat it was to get your body ready for the stage and felt like I was in the right place to compete in a sport on this extreme level. How far out from getting on stage do you start modifying your training/diet – if at all? Healthy eating and various forms of exercise have always been a part of my day to day routine, regardless of any sport. For competitions, I start following a more strict diet plan and dial in my weight lifting routine at around 20 weeks out. I used to start 16 weeks out but the longer prep time gives me more flexibility to make gradual changes as I go without being too aggressive right off the bat. What does the average week look like when it comes to training for getting into such amazing aesthetic shape? How many days lifting? How many days cardio? What were your splits? How much time did you spend each day training? For me, 6 days per week lifting, 1 hour on average, sometimes more or less. I have switched up my lifting routine quite a bit over the last 6 years of competing. I have done opposition splits: bi/tri, chest/back, shoulder day, 2 leg days (1 glute and hamstring focused) and a cardio/ core/ total body day. Now I do 2 heavy strength days upper and lower body (10 reps or less) and 2 hypertrophy days (higher rep), 1 core/cardio day, and the last day I do whatever body part I feel like needs attention (usually shoulders, back or glutes). I do 1 day of short HIIT cardio, mostly sprints and stair runs for 15-30 min. When I teach cardio classes I’m doing 2-3 days of spin class, 45 min – 1 hour. Writing this out makes me realize how much time I really spend working out. I love working out, so when I’m in the gym, it feels timeless most days. I’m not usually watching the clock because I enjoy being there. 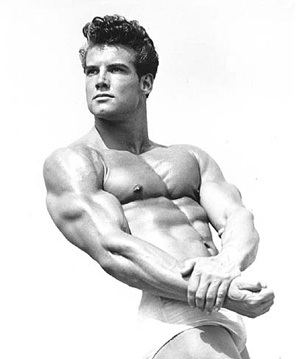 What was your diet like towards your peak physique? Whew. In the very beginning before I start counting macros or weighing food, I start eliminating processed foods from my diet. I begin drinking less alcohol (baby steps!). I pack all my food so I am sure I’m eating every 3 hours or so. After a few weeks of this, I’m in the mindset. I start following my macro plan (given to me by my coach Lisa Feran) and eating a set amount of proteins, carbs and fats (off my clean grocery list) at around a 15% caloric deficit. Week by week, as I feel like I am hitting a plateau, we change my diet, gradually eating less calories (usually less carbs). Nothing happens too fast though. I try to change as little as possible to see the results I need to see. I try to start as full as I can with the most calories and carbs as possible so that we have plenty of room to make changes. If I’m still progressing and losing body fat at a proper rate, then nothing needs to change! Towards the end I sometimes do a carb cycle with a few days low and one day higher carb. The final week to the show is extreme but keep in mind that I have been training toward this week for 19 weeks already, so it’s not that crazy when you think about it that way. By the last few weeks I’m eating mostly chicken, fish, salmon, sweet potatoes, oats, brown rice, coconut oil, olive oil, eggs/egg whites, tons of veggies and always plenty of water. Consistent diet, small changes week by week with each week leading into the next and being 90% consistent 100% of the time. How much time do you spend working on your nutrition, as far as prepping, weighing, measuring, etc.? (how much is involved). I spend about 2 hours on Sunday cooking, weighing and packing. This prep usually gets me though Wednesday or so. Then I spend around 20- 30 min each night making sure I keep the rotation of food from the freezer to oven to tupperware. Crock pots help with cooking time. I have plenty of tupperware to make things easy and quick to pack. I go to the grocery store 2-3 days a week to make sure my produce is fresh. Having a good cooler that packs tupperware nicely is another huge help. How did your diet make you feel, or how did you feel during your prep? Mood? Energy? Any noticeable changes, good or bad? In the very beginning before I start counting macros or weighing food, I start eliminating processed foods from my diet. I begin drinking less alcohol (baby steps!). I pack all my food so I am sure I’m eating every 3 hours or so. After a few weeks of this, I’m in the mindset. I start following my macro plan (given to me by my coach Lisa Feran) and eating a set amount of proteins, carbs and fats (off my clean grocery list) at around a 15% caloric deficit. Week by week, as I feel like I am hitting a plateau, we change my diet, gradually eating less calories (usually less carbs). Nothing happens too fast though. I try to change as little as possible to see the results I need to see. I try to start as full as I can with the most calories and carbs as possible so that we have plenty of room to make changes. If I’m still progressing and losing body fat at a proper rate, then nothing needs to change! Towards the end I sometimes do a carb cycle with a few days low and one day higher carb. The final week to the show is the most ‘extreme’ but keep in mind that I have been training toward this week for 19 weeks already, so it’s not that crazy when you think about it that way. Bodybuilders don’t eat like they do the final week all the time. There is no magic food I’m eating to get me lean. It’s all foods people eat almost every day: lean proteins, healthy fats like coconut oil and almonds, whole carbs like potatoes, oats and rice and a huge diversity of vegetables and plenty of water of course. Consistent diet, small changes week by week with each week leading into the next and being 90% consistent 100% of the time is the key. What did you like about competing? What did you not like? I have an amazing coach and team which makes competing fun and rewarding to be surrounded by others like me. Second to my team, the thing I love most about competing is the feeling of accomplishment and satisfaction of completion after a long prep process. Being on stage is a way I can express myself and present my art. I have molded my body through self determination and willpower and feel honored to preset my hard work in this way. I recognize that I am not my body, rather my body is just my shell in which I’ve been given to live. This personal embodiment and aesthetic side of the sport is what makes bodybuilding so unique. Anything else you want to add for people who want to get into stage ready shape? Physical and mental health are of the utmost importance. Be sure to talk with a coach who has experience in the industry. Training for a bodybuilding competition is not like training for any other sport. The mental and emotional side are a different challenge than other types of extreme sports so it is important to have a qualified person whom you trust to help you navigate the journey both to the competition and the time following after! Learn more about Ariel and give her a follow! This entry was posted in Blog, Fitness, Motivation, Nutrition and tagged breakfast, diet, eat healthy, effective habits, effort, emotional eating, Exercise Blog, fat loss, fitness, health, healthy, healthy eating, mobility, motivation, new year resolutions, new years resolution, new years weight loss, nutrition, results, stress eating, stretching, success, weight loss, weight loss challenge, wellness by Mike Gorski. Bookmark the permalink.